Eynesbury now has a purpose built environmentally friendly student residence available to students who are under 18 years of age and are studying a program with Eynesbury. Eynesbury Homeaway aims to provide a 'home away from home' for international students just 3 kilometres from the city centre of Adelaide. Homeaway is designed primarily for students who are here to complete their final years of schooling. Homeaway offers fully catered accommodation where meals and a weekly room clean (optional) is incorporated in a single fee. Homestay accommodation provides students the opportunity to live with an Australian family. Students living in this environment are introduced to Australian culture and have the best opportunity of developing their language skills by using English on a regular basis in everyday situations. All Eynesbury approved homestay hosts have met selected criteria and come from a diverse range of cultures, backgrounds and family structures. Our homestay hosts can provide either full board or part board homestay. Under 18 students must remain on full board until they turn 18. Most host families are located within 20-30 minutes travelling time to the city and school by public transport. A minimum stay in homestay is 5 or 10 weeks depending on the age of the student. Students are provided with their own fully furnished room, shared use of bathroom, laundry and negotiated use of kitchen facilities. Internet and phone costs are not included in the weekly fee and usage/costs need to be negotiated with the homestay host. Please Note: All Under 18 students who have nominated Eynesbury to monitor their welfare are required to live with an Eynesbury approved homestay host on full board until they turn 18 years of age. All students enrolled in ELICOS and/or Year 10 and Year 11 must also live in full board homestay accommodation regardless of their age. Part board students over 18 only homestay accommodation offers each student a room and shared use of the kitchen and bathroom facilities. Students are able to provide their own food and cook for themselves. Student residences offer single room accommodation. Rooms are fully furnished and students have access to shared recreational, kitchen, laundry and shared bathroom facilities. Internet is available at an additional cost. Some residences provide meals and in others, students are responsible for their own cooking. This option is not available for students who are studying in Year 10 or 11. Urbanest provides independent student accommodation and is a 10 minute walk to Eynesbury. Urbanest provides hassle- free living within a safe and secure inner city location. Opened in 2011 this residence has state of the art security and 24 hour reception. There are studio apartments or apartments with 4 or 6 bedrooms and each bedroom has its own ensuite. A Standard Inclusive Package includes 5GB internet per month including internet connection, all bills, fully furnished apartment and contents insurance. A Premium Inclusive Package includes 40GB wireless internet per month including internet connection, all bills, fully furnished, ipod doc, TV, kettle, toaster, linen pack, kitchen pack and contents insurance. For more information: contact the Eynesbury Accommodation Co-ordinators accommodation@eynesbury.sa.edu.au to organize a booking. Lincoln provides student residence, single room accommodation for students over the age of 17. Students are provided with a fully furnished room, 3 meals a day, fibre internet with unlimited data and extensive academic and personal support. Living at Lincoln allows students to settle in to a new environment whilst being supported during their study at Eynesbury and the transition to University.  Lincoln is located in North Adelaide a short distance to Eynesbury and both The University of Adelaide and The University of South Australia. Lincoln overlooks the parklands, the Adelaide Oval and the Adelaide Hills. Urbanest is one of Australia’s leading student accommodation providers. They design, build and operate student accommodation to enhance the educational experience of students. Urbanest North Terrace https://urbanest.com.au/adelaide/north-terrace/ is located at 12 Bank Street, right near Adelaide’s cultural strip. This truly ideal location for students is within walking distance to Eynesbury, Rundle Mall shopping and over the road from Adelaide train station and tram stop. Students have access to a range of room types including large studios, single ensuite rooms in a shared apartment and twin share options. Urbanest at the University of Adelaide https://urbanest.com.au/adelaide/university-of-adelaide/ is located along the vibrant North Terrace, in a perfect location just across the road from the main University of Adelaide campus and a short walk from Eynesbury. A preferred accommodation provider for the University of Adelaide, it has Rundle Mall only a short walk away and a bus stop on your doorstep, making urbanest at the University of Adelaide a great place for students to live and study. Students have access to a range of room types including large studios, single rooms in a shared apartment and twin share options. Weekly rent includes water, electricity, 100GB internet per month, and contents insurance. With a 24/7 dedicate on-site team, regular social events organised on site and fantastic social spaces including a cinema, gym and outdoor areas, students have everything they need to thrive in their studies. Students over the age of 18 may want to find their own share accommodation, private rental accommodation, motel/hotel accommodation or backpacker accommodation prior to arrival. Most motels, hotels and backpacker accommodation will require a deposit or full payment to secure a room and credit card details are normally requested by the provider. The Accommodation Office can provide information about these options but it cannot make the arrangements for you. Private rental accommodation (usually for 6-12 months) can be organised after you arrive in Adelaide. Information about rental properties is available from the Accommodation Office but staff are unable to inspect properties or offer legal advice. Please contact the Accommodation Office for more information. A student may reside in Australia with a parent or legal custodian who travels to Australia to provide welfare for the student for the duration of their study. This must be indicated on the student's visa application. A student may reside in Australia with a relative over 21 years of age who is approved by the student's parents or legal custodians, who must also nominate the relative as the student's guardian. A student may reside in Australia if the parents approve of Eynesbury being responsible for the students' accommodation, support, and general welfare arrangements and a Confirmation of Appropriate Accommodation and Welfare form (CAAW), is issued to the student. All under 18 students when applying to Eynesbury will receive a Living Arrangements for Under 18 form so students can indicate which option they will choose. All international students under 18 years of age are required to attend regular appointments with the Accommodation Co-ordinators. These appointments are compulsory and provide students the opportunity where students will be able to discuss any issues, concerns or positive things which are happening in their homestay or in their academic and social life. Where necessary, the Accommodation Co-ordinators will refer students for additional assistance from academic staff, student counsellor or other services. A confirmation of accommodation and airport reception will then be sent to you. Be sure to tell us these details well in advance of your arrival, preferably no less than two weeks before you leave your home country. These details can also be advised on the Request for Accommodation form.